The Desert Regional Medical Center located in Palm Springs, CA is a 388 bed, full-service, acute care facility. The main facility was built in 1951 and has undergone extensive modernization. The Problem: The problem they were experiencing was related to pipe corrosion in the piping system in the facilities chilled water and heating system. The two pipe heating-cooling system was made of Schedule 40 black steel main lines with soft copper branch lines. Pipe diameters ranged from 1/2” to 2 1/2”. In addition to the main line being encrusted the soft copper branch lines had developed pinhole leaks. Strainers at the heating units had been installed previously to try and strain out the rust particles from the main line but now they were constantly getting plugged up by the debris. 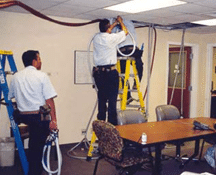 Given the need to have little or no patient or operational disruption, the traditional re-pipe option was ruled out by the facilities engineers. The Solution: ACE DuraFlo® in-place pipe restoration. The piping system was isolated and conventional repairs carried out and then the piping system was restored in-place using the ACE DuraFlo® system of in-place pipe restoration. By restoring the piping system in-place the facility was able to remain in full operation. Florida’s Leader in Pipe Restoration. The Client: One of the world’s largest aero-space manufacturers, and an organization respected for its precision engineering and quality construction. When looking for a long term solution to preserve and protect some problem piping at their Puget Sound assembly facility, engineers investigated numerous solutions. 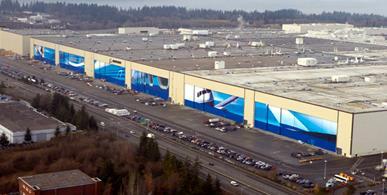 Their Puget Sound Facility boasts the largest building in the world and is the assembly location for the company’s jumbo jet fleet, including some of the world’s largest jets. 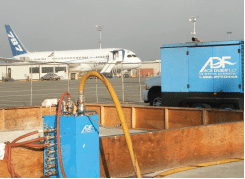 Because the pipe was located under the tarmac in the flight line assembly area, engineers quickly determined that conventional digging and replacement of the pipes was simply out of the question. Fortunately, the Puget Sound engineering team was aware of the ePIPE® technology that the company had utilized in their fabrication facility in Auburn, Washington two years previously. Satisfied with their past experience using ePIPE® restoration, and convinced that ePIPE® was the right solution for them at the assembly facility, the work was scheduled. The ePIPE® Team promptly responded to the challenge using the patented ePIPE® solution to clean and reline the pipes in place, without disturbing the tarmac. The Result: The Project was completed with no delay or disruption to the customer’s schedule. Background: BL Harbert International performs construction projects all over the world for the United States government. They recently finished 6 new administration buildings and 6 new readiness buildings. That’s when the Army Corps of Engineers told them that they had to line the new copper pipes. 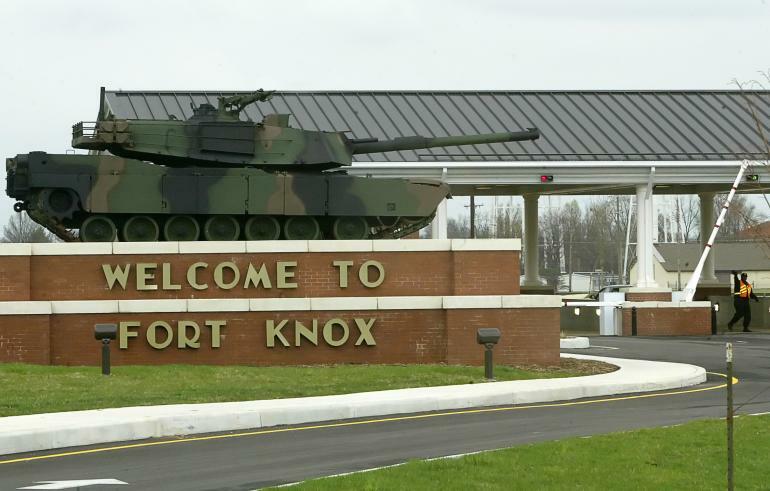 The Problem: The buildings on Fort Knox Army base have been experiencing piping failures in as little as 10 years. When The Army Corps of Engineers investigated the problem they found that the base had hard water and thus also a high level of copper content. Soon after the investigation, the Army Corps of Engineers mandated their contractors to use only plastic pipe on new construction. That mandate came after the BL Harbert project was started. In response to this situation, the Corps decided to handle the problem before it occurred and before the building was occupied. The Solution: BL Harbert International and the Army Corps of Engineers picked ACE DuraFlo and their ePIPE® process to perform the first restoration work in both of their lengthy resumes. The project originally schedule for 12 weeks was condensed into a 6 week period at the request of the clients. Two ePIPE® restoration teams completed 2 buildings a week. The total project encompassed approximately 400,000 sq. feet. 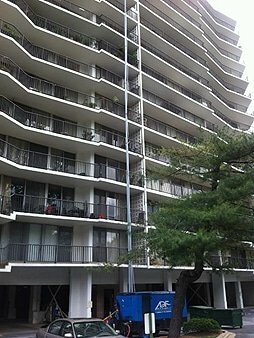 The Problem: The Waterford Condominium in Kensington, MD is a 149 unit, 14 story high-rise building that was experiencing pinhole leaks in its copper domestic water system. The condominium needed a cost-effective way to solve the problem of leaky pipes without the cost, construction times and destruction often associated with a traditional re-pipe. The Solutions: The Waterford chose ePIPE®, its two-hour return to service product and the advantage of choosing the most experienced epoxy lining company in the industry. The potable water pipes and recirculating system were relined within 20 weeks. Using its patented process, ePIPE® was able to fix the problem without severe disturbance to owners or damaging their unit's walls to get to pipes. Over the course of the project, ePIPE® technicians were able to restore each 14-story riser in a single day and four risers per week, quickly moving around the building to completion. The technicians worked with great skill, friendly demeanors and were able to accommodate the building’s special request; they re-piped the recirculating system valves from inside of the top floor units into the hallway to prevent future intrusion during regular maintenance. ePIPE® is the only small-diameter pipelining company that offers an NSF certified 2-hour immediate return to service lining material suitable for drinking water. No other lining company comes close to same day "water on" service.